Alfie and I have been very busy over the last few months delivering our Taking the Lead Sessions in all sorts of establishments. "Taking the Lead is a bespoke education programme for young people and adult offenders in the secure estate, in the community and also for those attending alternative education provision. Our aim is to deliver Dogs Trust’s key messages regarding responsible dog ownership whist improving skills such as numeracy, literacy, self-awareness, communication and employability. This can work towards reducing reoffending, engaging learners into education and building empathy towards others." We have been working with learners all across Scotland, in schools, YOIs, prisons, through social work, police, Barnardos amongst many other valuable and much needed alternative education establishments. It is so amazing and rewarding to see our learners engaging and developing throughout our programmes and our fantastic programme of new lessons has been going down a storm. 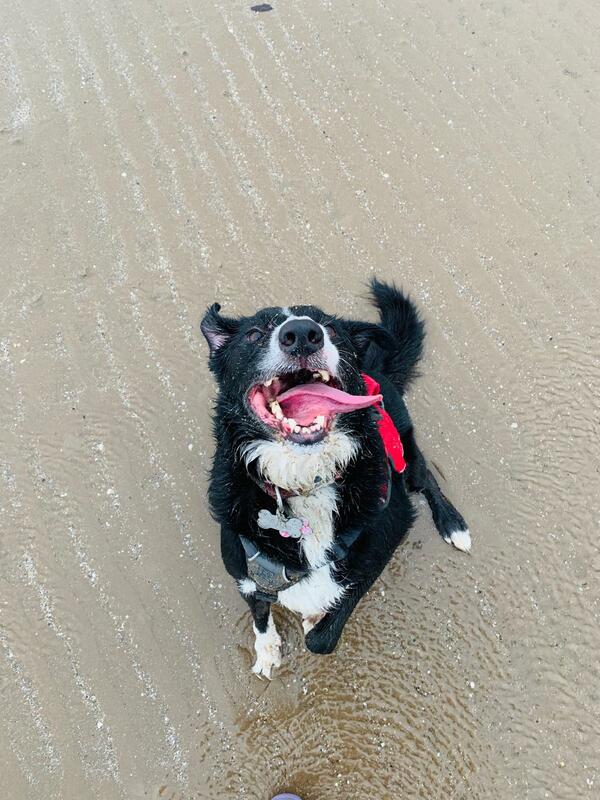 Alfie has been enjoying travelling all over the country for his Classroom assistant role… he especially loves if we are next to somewhere exciting for lunchtime walkies… .. last week he had a ball at the beach!